What Drives Abortion: The Law Or Income? : Goats and Soda About 5 million women worldwide are admitted to hospitals each year because of complications after an abortion. But the key to stopping these injuries may have nothing to with changing the law. About 50,000 women worldwide die because of unsafe abortions. Five million more are admitted to hospitals with complications after the procedure. Activists and researchers on both sides of the abortion debate agree that these "back alley" operations are dangerous for women. It's figuring out the best way to stop them that has been contentious. One approach has been to make abortion illegal. But evidence is accumulating that this strategy doesn't work. And it may even backfire, says Ana Langer, who studies reproductive health at the Harvard School of Public Health. "Many studies have shown that making abortions illegal doesn't decline the number of abortions," Langer tells NPR. "Women just resort to unsafe providers more often." Abortions are legal in India. 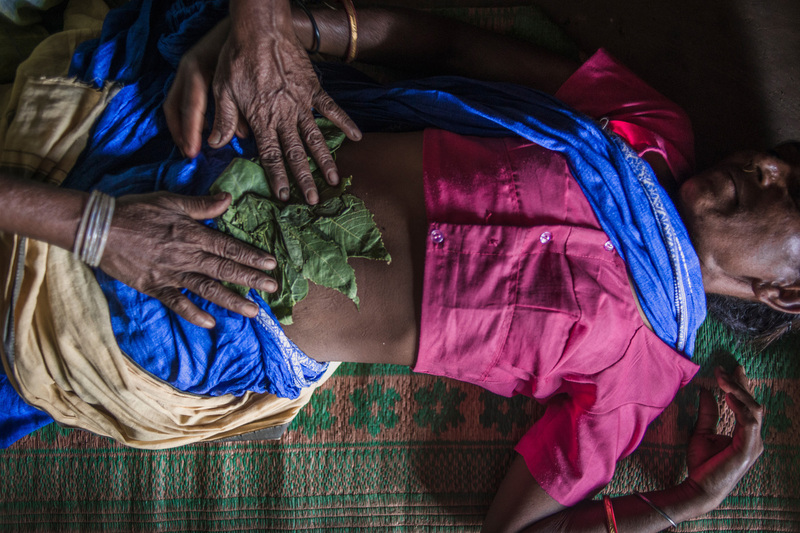 But many are performed by traditional midwives, called dais. Sometimes a dai rubs herbs on a woman's stomach or gives her plants to eat. To support the claim, Langer cites a large study published in the Lancet a few years ago, which looked at abortions around the world. The conclusion: Prohibiting the procedures is linked with slightly higher rates of abortions. And the majority of these illegal procedures are dangerous for women. The study estimated abortion rates in the 18 regions around the globe, determined by researchers at the Guttmacher Institute, a think tank in Washington that advocates for abortion rights, who worked with the World Health Organization. The researchers also calculated the fraction of women in each region living what they called "liberal laws" for abortions. About 1 in 5 pregnancies worldwide was terminated by an abortion in 2008, the team found. That translates to about 44 million abortions. Rates of abortion were about 10 percent higher, on average, in regions with widespread restrictions compared with places where liberal laws dominate. "Once a procedure becomes illegal, the need is still there," Langer says. "Women will look for services, safe or unsafe, to terminate their pregnancy." Political scientist Michael New thinks the Lancet study is misleading. He works at the Charlotte Lozier Institute, a research organization that is opposed to abortion. "The study tries to compare apples and oranges," New tells NPR. "Many of the countries where abortion is legally restricted tend to have high poverty rates and a variety of other social pathologies that increase the demand for abortions. This clouds some of the findings and makes them less reliable than one would like." 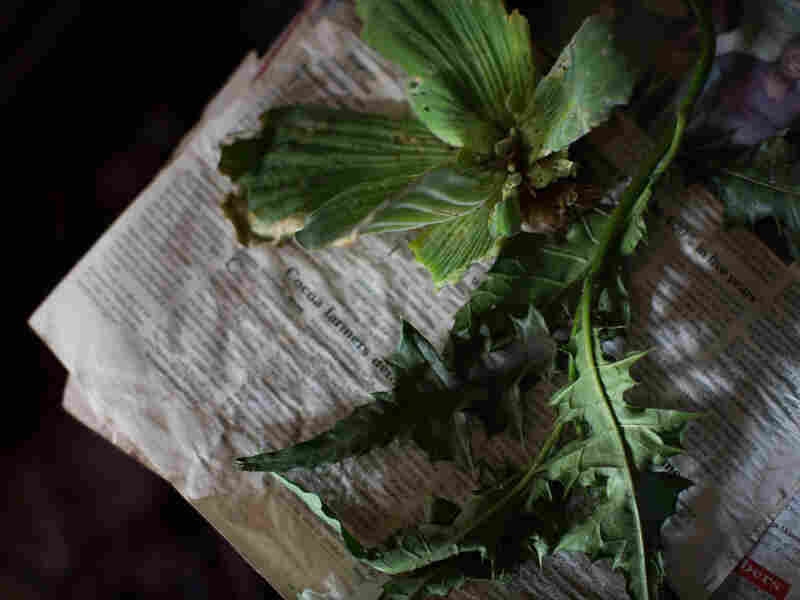 In Nigeria, some herbalists use plants to induce abortions. These two herbs, called obyolulu and itwetu, are traditionally taken together to "correct missed periods." In 2008, an estimated 86 percent of abortions worldwide occurred in developing countries, WHO estimates, and nearly of half of those were performed by someone lacking the proper training or in an unsafe environment. In Africa, about 97 percent of abortions fell into this unsafe category. Data for these poor countries are only rough estimates, New points out. Health records are scarce. So researchers had to extrapolate from small surveys or deduce rates from models based on data from other countries. A better way to see how laws affect abortion rates, New says, is to look at what happens in a particular country when it relaxes or tightens its restrictions. Consider the U.S. The number of abortions increased by nearly 70 percent in the first six years after Roe v. Wade legalized the procedure. In 1974, about 750,000 abortions were reported in the U.S. By 1980, the number had shot up to nearly 1.3 million, the Centers for Disease Control and Prevention reported. Legal abortions in the U.S. are safe procedures. The mortality rate is about 6 deaths per 1 million abortions. Another example is Eastern Europe. After the collapse of the Soviet Union, many countries had the freedom to change their abortion policies. Some started limiting the procedure to only those needed for medical reasons. That restriction was linked to about a 25 percent decrease in abortion rate, a study in The Journal of Law and Economics reported in 2004. If you dig deeper into that study, another finding stands out: Rates of maternal deaths declined when countries soften restrictive abortion laws — presumably because of a decline in unsafe abortions. The change was small in the Eastern European countries. But a similar trend has occurred in other places that relax restrictions on abortion, says Gilda Sedgh of the Guttmacher Institute, who led the Lancet study. "The clearest evidence that legalizing abortion reduces deaths and complications from unsafe procedures comes from South Africa," Sedgh says. The country legalized abortions in 1997. Within three years, the number of women dying from procedure fell by 90 percent. Simply changing the law is not enough to reduce dangerous operations, Sedgh says. For instance, abortions have been legal in India for decades. Still, about 60 percent aren't performed by skilled physicians or in medically safe rooms, the Guttmacher Institute estimates. "After a law changes, women need to know that abortions are legal," Sedgh tells NPR. "Providers need to be trained to do safe abortions, to deal with complications. And supplies need to be in place." A test case for this idea has been occurring in Mexico City. In 2007, the metropolis became one of the few places in Latin America to allow first-trimester abortions. But the government went one step further. It trained doctors to do the procedures, distributed information about the law and ensured clinics had the supplies they needed. The result? No studies have looked at how the mortality rate from abortions, both legal and illegal, changed in Mexico City since 2007. After about 170,000 procedures in legal clinics, Anger says, the city has not reported a single death. But the key to protecting women from abortion injuries may have nothing to with changing the law or offering women safer options, both Langer and Sedgh say. Instead it may boil down to stopping unwanted pregnancies in the first place. "Ensuring access to contraception for all women definitely decreases abortion rates," Harvard's Langer says. "Sweden and Norway have the lowest rates of abortion, not because adolescents engage in less in sexual activities," she says. "But rather they know how to protect themselves." This story is part of a series looking at the health implications of abortion in developing countries. The series will continue over the next week. A previous version of this story incorrectly identified one source. It is The Journal of Law and Economics, not The Law and Economics Journal.